We are wrapping up our latest #CaliforniaTraditional project with the sweetest ever spaces. 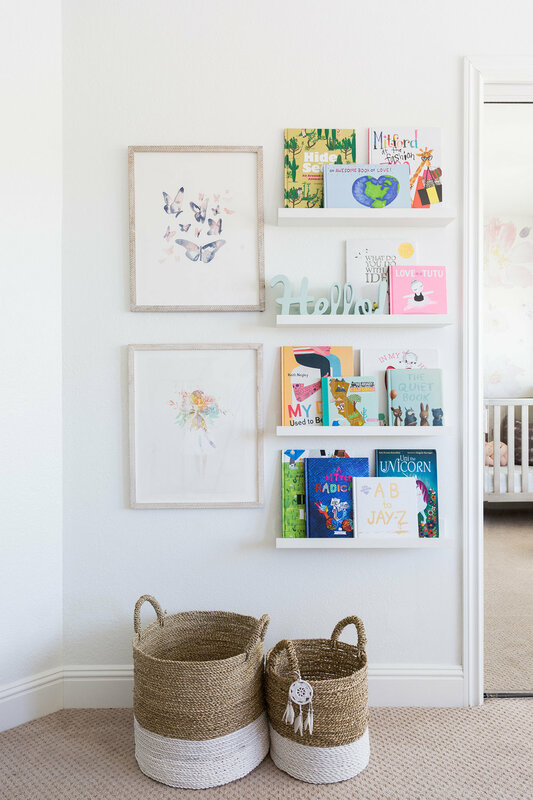 From a floral filled nursery to little girl’s boho dream room and a playroom too, the kids rooms are a study in fun and magical without a whole lot of splurge. Because, let’s face it, little kids become big kids before you know it and their rooms need to grow and evolve with them. 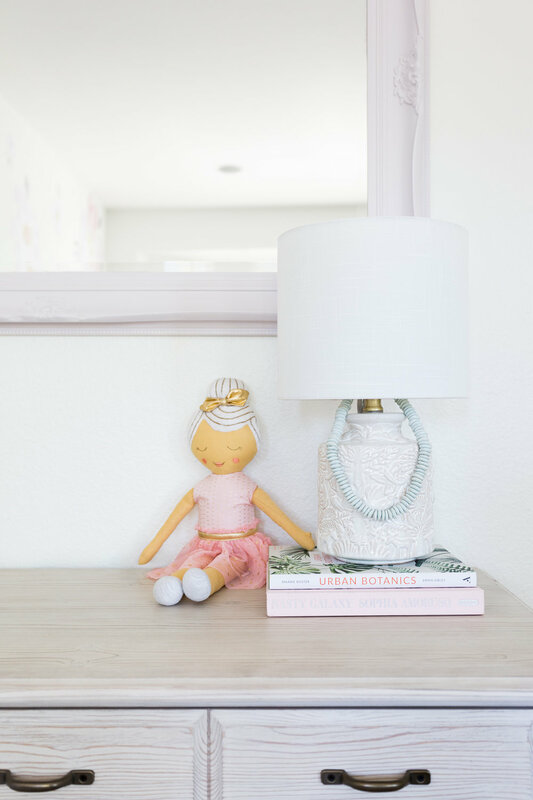 For Emma’s room we splurged on a classic spindle bed and cool lilac painted walls while saving on the nightstand and accessories. 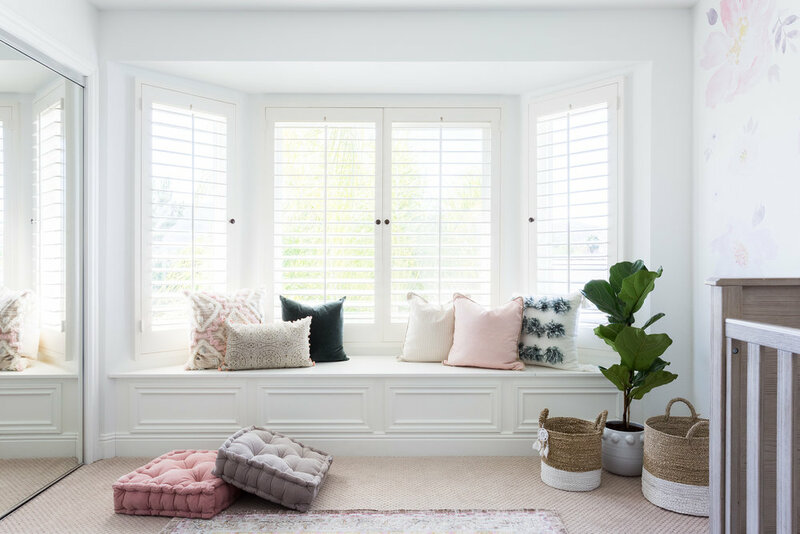 A great saving trick, we ordered longer curtains so that we could hang them high then hemmed them to fit for a chic custom look. In the playroom the custom made settee was a splurge moment. The family wanted a cozy seating spot for lounging and reading books while still feeling playful. This custom piece was the perfect fit. We completed the look with affordable pieces, including the rug and modern kids table and chairs from Target. 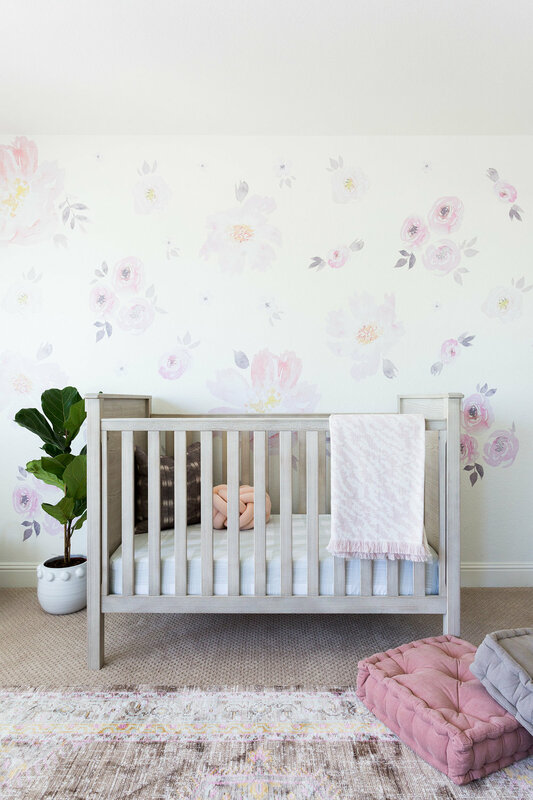 Chloe’s nursery includes the prettiest floral decals on the wall that were actually a save over splurging on full wallpaper. Another great way we saved was by taking an existing mirror and painting it in a fresh new shade of lilac. 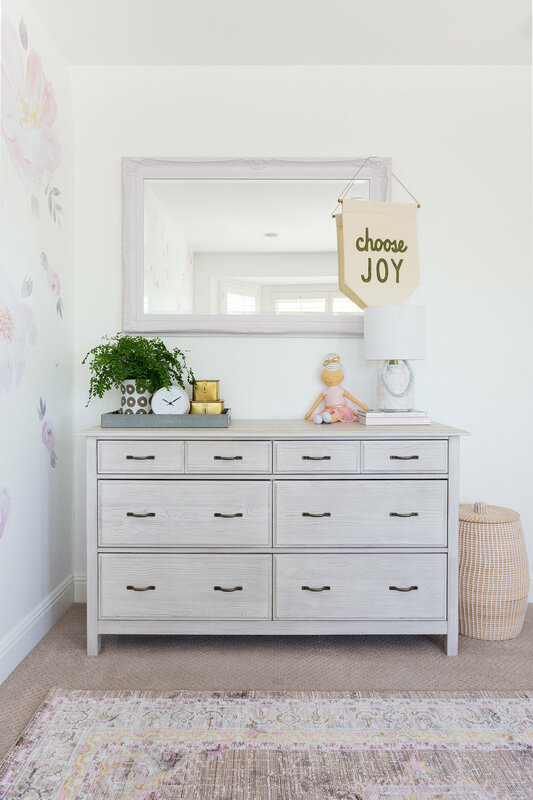 Scroll through for a look at these incredibly fun and girly kids spaces and if you missed it, take the full tour of our #CaliforniaTraditional project with the dining and living room, the family room and cozy breakfast nook, the master bedroom retreat and the serene guest bedroom.